Product prices and availability are accurate as of 2019-04-18 00:11:16 UTC and are subject to change. Any price and availability information displayed on http://www.amazon.com/ at the time of purchase will apply to the purchase of this product. Magazine pouches are with rivet clasp. 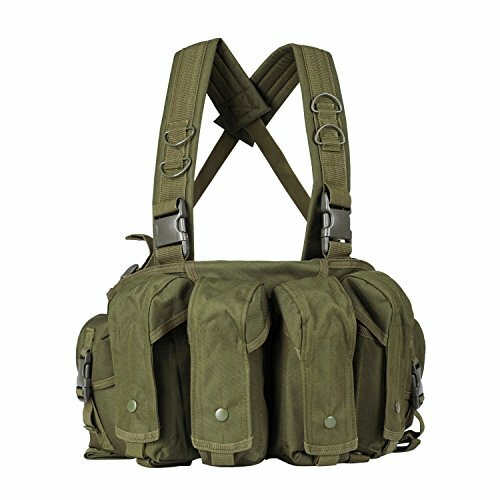 The length of the adjustable waist strap is up to 31.5''. 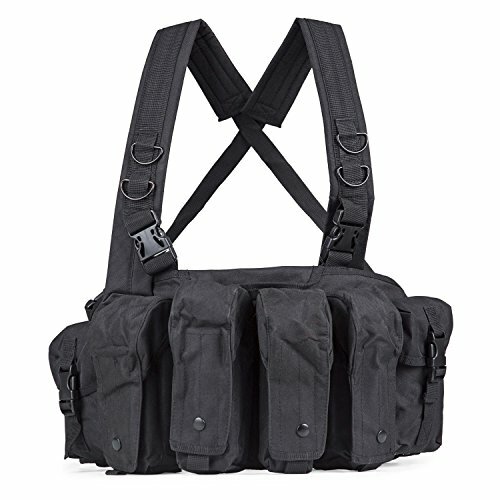 This vest is great for airsoft,paintball,wargame and hunting. Material:600D High density nylon material Size: 18.9''(Length) X9.05''(Width).The length of the adjustable waist strap is up to 31.5'' 4 magazine pouches which could carry magazines with the size 7.87''(Length) x 2.36'' (Width) X 1.77'' (Thickness) Quick release buckle design This vest is great for airsoft,paintball,wargame and hunting.